If you know me at all you know that between October through February you will most likely see me carrying a mug of coffee. Coffee mugs are permanently attached to my hand for the duration of winter. But here’s the sad truth… I’m getting old and can’t drink caffeine long into the evenings like I used to. No worries!! Eggnog Hot Chocolate to the rescue! What can I say? I like a frilly, festive, holiday drink. Sure some days I open an envelope of chocolate powder and stir it into hot milk, but homemade hot chocolate is SO easy. 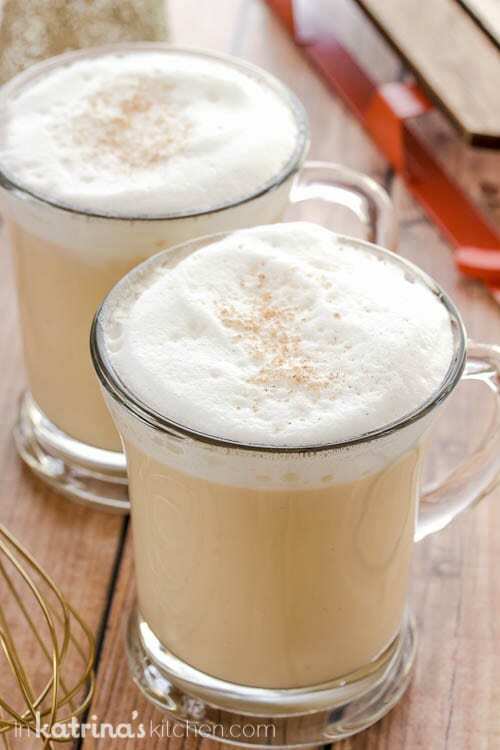 In fact I love entertaining with this Eggnog Hot Chocolate by doubling the recipe and putting the ingredients in the slow cooker before my guests arrive. It tastes delicious, requires almost zero effort, and makes your home smell AMAZING. I like to top it with frothed milk, nutmeg, and sometimes a few white chocolate shavings. You know I love working with the American Dairy Association Mideast around the holidays. Together we are working with The Great American Milk Drive again this year to provide gallons of milk for families in your local community. Milk is the MOST requested item at food pantries, but the LEAST donated? I know I’m guilty of raiding my cupboard for a few cans of beans and soup when our school asks for food bank donations. But this year I would really challenge all of us to ask what we would really like provided to us if we were on the other end and needing help. I can tell you personally our family spent time needing assistance and I was so happy to have coupons for milk that my toddler needed. 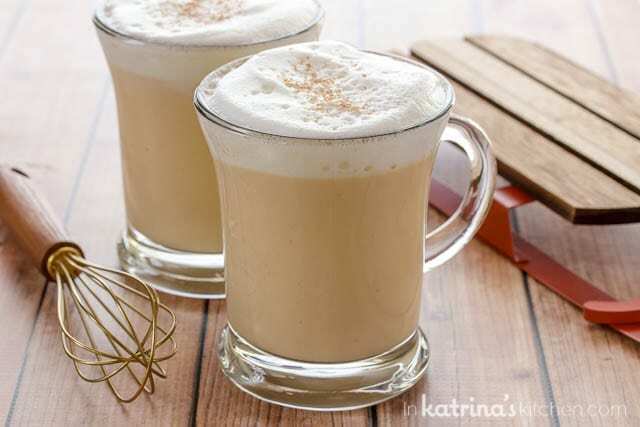 So I’m sharing the recipe for this Eggnog Hot Chocolate- I hope you love it. If you want to know an easy way to help your local food bank please scroll down. Thank you so much! 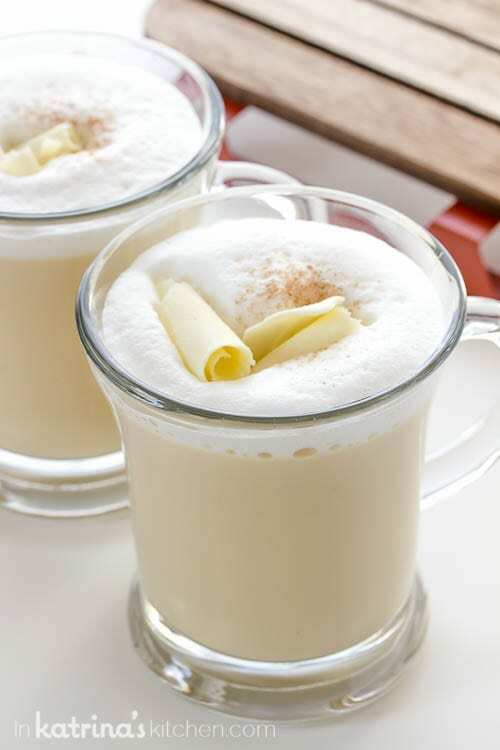 In a medium saucepan stir together eggnog, milk, vanilla and chopped white chocolate. Over medium heat cook, stirring occasionally, until the white chocolate melts and the drink comes to a simmer. (Do not let it come to a boil.) Continue to stir to ensure all of the white chocolate has melted. Remove from heat and serve immediately, topped with fresh ground nutmeg, whipped cream, or frothed milk. Milk chocolate may be substituted. This can be doubled and prepared in a slow cooker. Cook on High setting at least 2 hours or until hot. Before serving, stir mixture again with wire whisk. Reduce heat setting to Low. Stir occasionally as necessary. Donate to The Great American Milk Drive. Connect with the American Dairy Association on Facebook, Twitter, or Instagram. For every NEW LIKE the ADA, Mideast will donate 25 cents to the Great American Milk Drive. Join me on Twitter, on Tuesday, December 6, 2016 from 9-10pm EST. Everyone who attends the #GiveGallons party, 25 cents will be donated to Feeding America’s Great American Milk Drive. Each 25 cent donation is equivalent to ONE GLASS of milk! SUPER EASY way to make a difference! OMG! It associates with Christmas! I want to sit near the fire and drink this hot chocolate. I think you should publish your recipes like customly written papers! They are good! You’re a genius. EGGNOG in hot chocolate. I love you for this! Egg nog? Hot chocolate? Can be made in the crockpot? Literally all my favorite things! 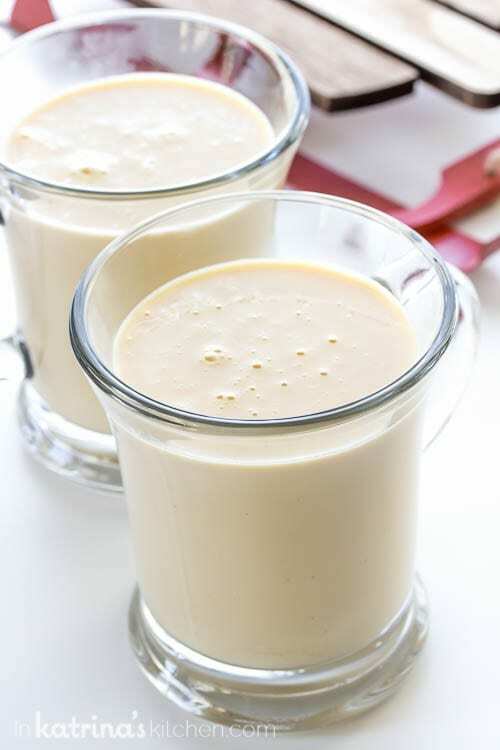 I can’t believe I have never tried Eggnog?! I think this Hot Chocolate version is the way to start! So pretty and it sounds delicious! I bet this is so rich and delicious!! I wish I was sipping on this right now! I adore white hot chocolate!